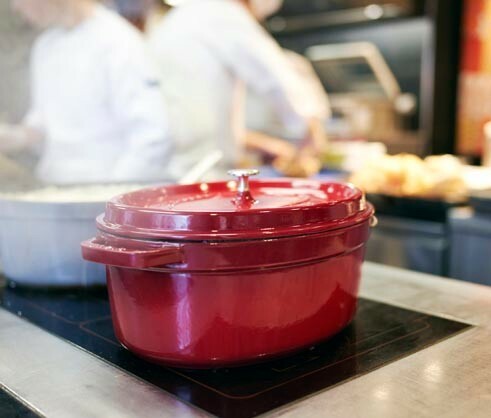 STAUB cast iron cookware is used in professional kitchens throughout the UK. 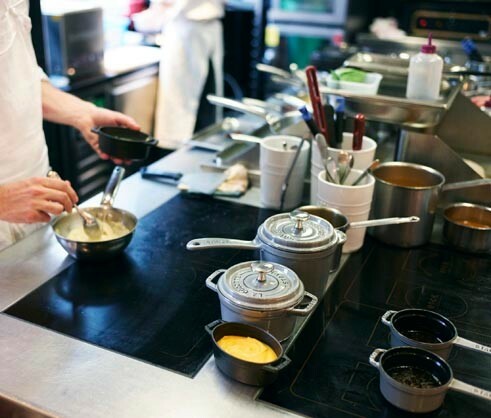 From hotels and Michelin-star restaurants to pubs and contract catering, STAUB is trusted by chefs to deliver fantastic flavour and reliable results, even in the most demanding service. 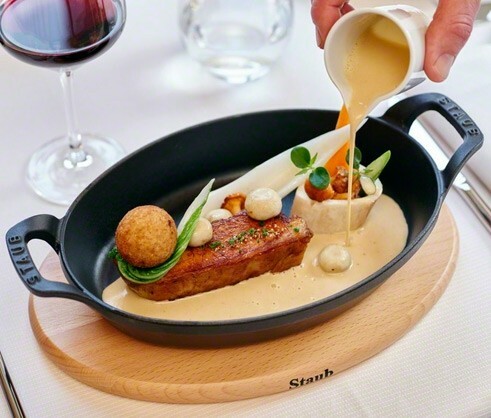 Staub's unique designs create the perfect synergy between cooking and serving. They are both a perfect cooking vessel, as well as an exceptional centrepiece that will bring life to any table at any event. Take your dishes from oven to table seamlessly. 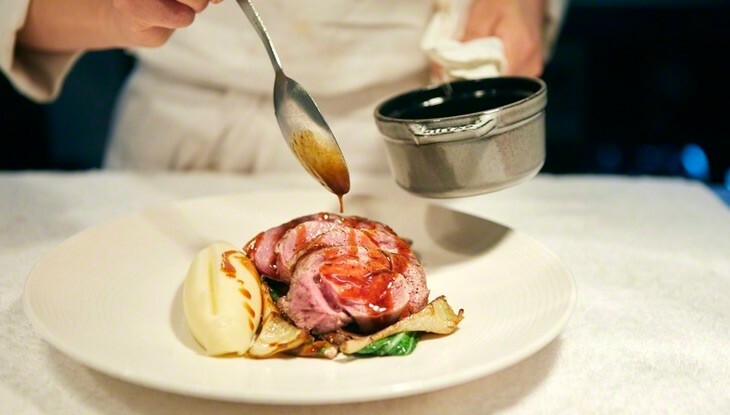 When it comes to fine dining, Staub's premium quality and exceptional design shines through. 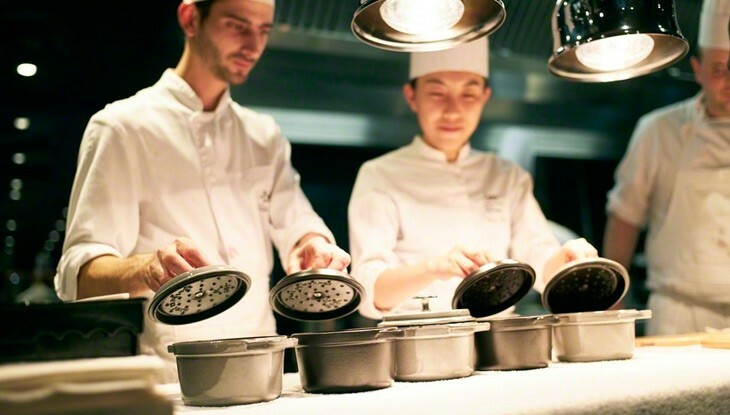 Multi-layered, elevated dishes can be served spectacually in a Staub cocotte or baking dish, creating an elegant culinary experience for diners expecting only the best. Staub is perfectly at home in a casual dining restaurant. 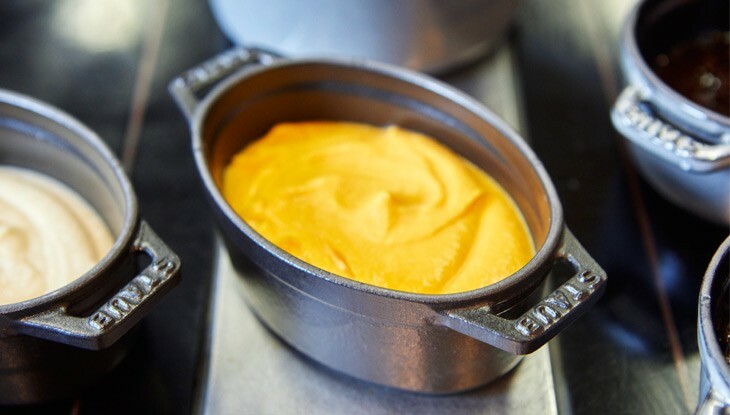 Cast iron dishes and ramekins can be used to serve classic dishes, whilst also providing a great base to effectively cook with. 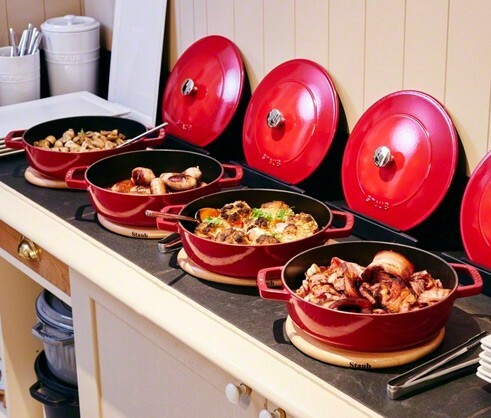 Staub dishes are ideal for serving buffet food in style. Their exceptional heat retention qualities keep food warmer for longer. Combine a Staub dish with a lid holder and trivet for the ultimate buffet experience. The smooth enameled base on Staub cast iron products are suitable for use on all stovetops including induction. This helps save energy and increases efficiency in a professional kitchen. 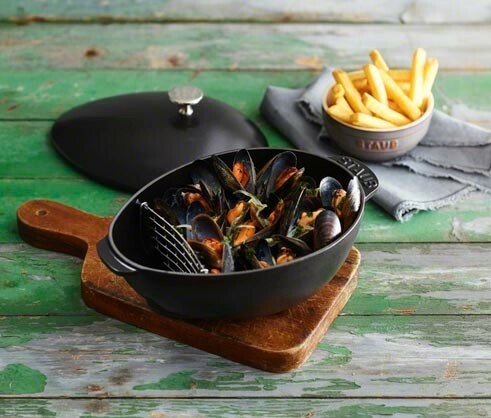 Staub cast iron retains and evenly distributes heat for a long time, making Staub perfect for slow cooked dishes. 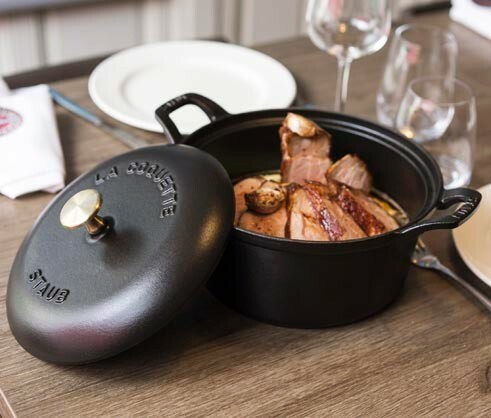 "We love to cook and serve in STAUB; for us the look and feel of the pieces really suits what we do. 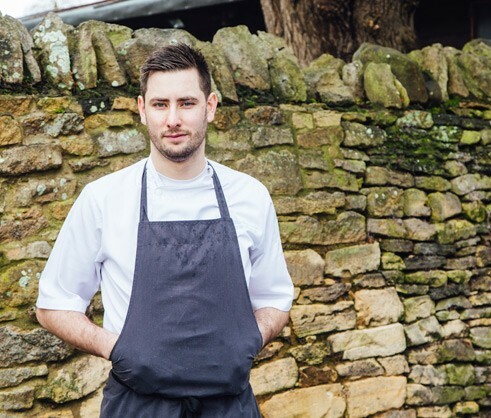 They’re practical in that they’re hard wearing and that they hold temperature so we’re confident they give us what we need during prep and service. They also look great on the table which is always a key consideration, we need pieces to complement the food and STAUB does that. 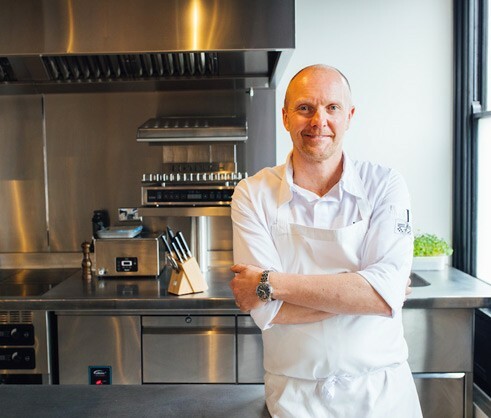 As well as the restaurant, we also use STAUB in the cookery school at Eckington and the pieces are often used on induction or Agas and then in the oven, so the adaptability of STAUB is a big plus for us." 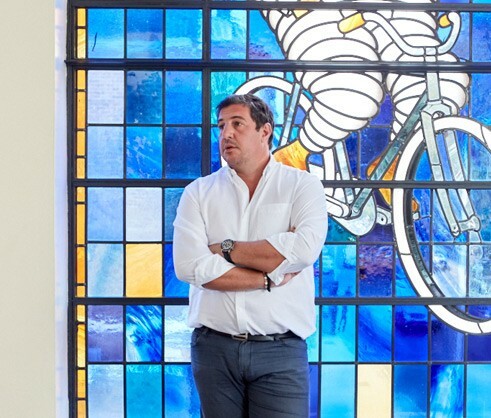 "It’s just great to have these pieces in the kitchen. I know that they’re going to provide what I need in terms of consistency to help us produce what we do here. I know that STAUB will give me reliable results and that’s important. Their versatility is a big thing for me – I can use them all year round for all different types of dishes, so when I change menus I know that I’m going to get use out of them. 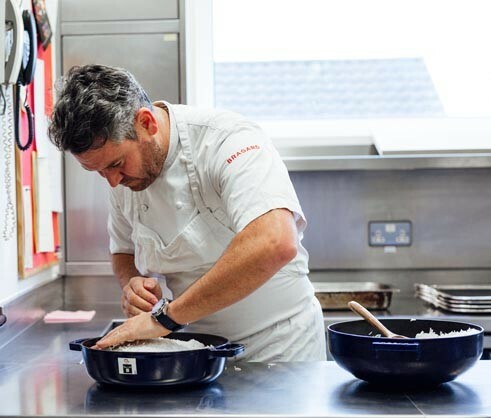 Apart from that, I love the way the pieces look – we serve some dishes in the mini cocottes and it’s always nice to see those going out to the table." 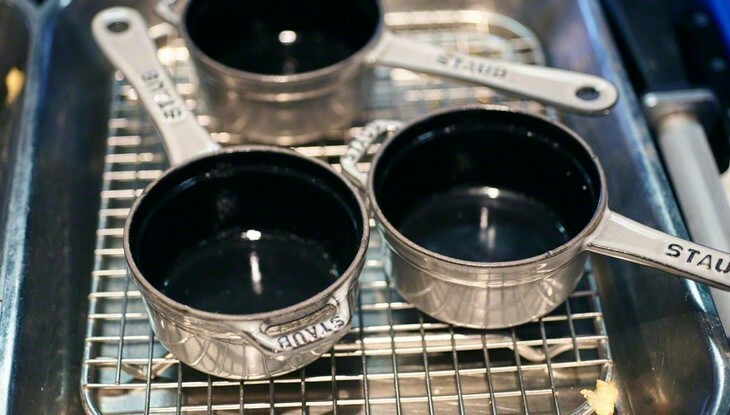 “I like the bomb-proof simplicity of STAUB and the fact that with a good scrub, whatever you have done to it, they still come up lovely and clean. For all STAUB food service sales enquiries, please contact your food service distributor. 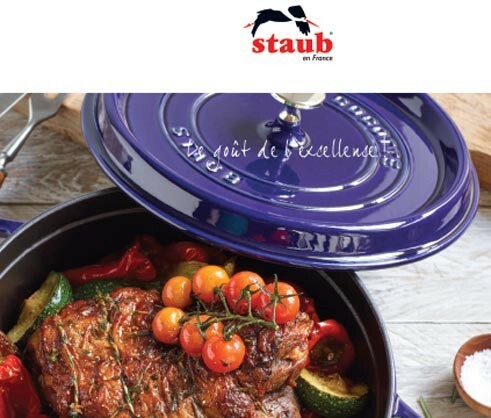 Download the STAUB cast iron 2018-2019 catalogue HERE. Alternatively, contact us using the details above and we can send a printed version of the catalogue.